A low-salt diet may be good for people with high blood pressure, but it's not helping New Jersey's highways and now the state's U.S. Senator's are getting involved. 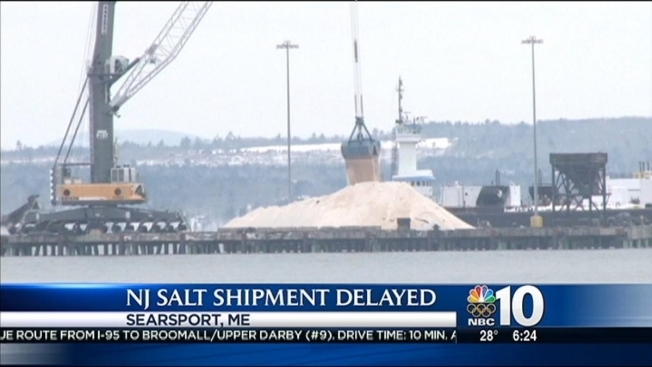 An abundance of snow this season has depleted salt reserves around the state. New Jersey Department of Transportation Commissioner James Simpson says that could force him to close major roadways during storms if a solution isn't reached. At issue is a nearly century-old law that prevents a foreign vessel from transporting cargo from one U.S. port to another. Simpson tells The Star-Ledger he's been lobbying the federal government to get a waiver so an empty ship harbored in Maine can bring a 40,000-ton shipment of salt to New Jersey. But he says he hasn't been successful so far. 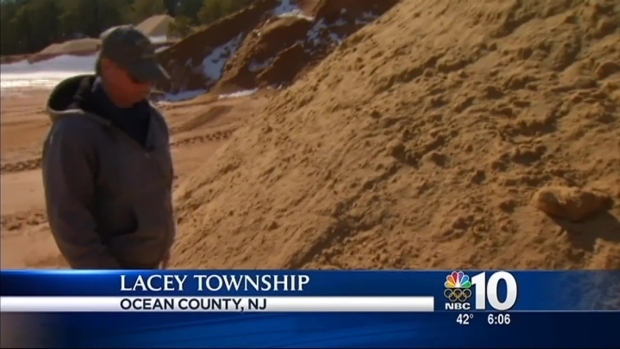 With salt at critically low levels in New Jersey, local communities are getting sand as a substitute. NBC10's Ted Greenberg has the details. "Tell me how this is in the public interest -- to deny New Jersey the ability to protect its own people?" Simpson told the paper. "It’s appalling. It’s malfeasance." Simpson says the U.S. Department of Transportation told him it has found two barges that could carry a total of 15,000 tons to New Jersey, in about three weeks. Sens. Robert Menendez and Cory Booker wrote Tuesday to the Department of Homeland Security and Department of Transportation. Booker and Menendez said in a joint letter that the Department of Homeland Security is considering New Jersey's request for a waiver of the law. "The State of New Jersey has been among the hardest hit states this winter season, with more than 70 inches of snow accumulated in some parts of the state," wrote the Senators. "The Governor has issued at least four state of emergency alerts. Several cities and municipalities are reporting shortages of rock salt, which has the potential to endanger motorists and the general public in future snow events." "We urge your agencies to continue to assist the State of New Jersey to help procure and deliver rock salt for the purposes of public safety and security," the Senators continued in the letter.